The original Russian title of The Sword and the Dragon was Ilya Muromets. Boris Andreyev plays the title character, a legendary Russian hero of the Middle Ages. Fact and fantasy meld copacetically as Muromets does battle not only with human adversaries but with three-headed, fire-breathing dragons and other such obstacles. Special effects in Soviet films of the 1950s generally seem to be of the "Howdy Doody" school; not so the effects in Sword and the Dragon, which retain their razzle and dazzle even after 40 years' worth of Kubrick, Lucas, Spielberg and the like. 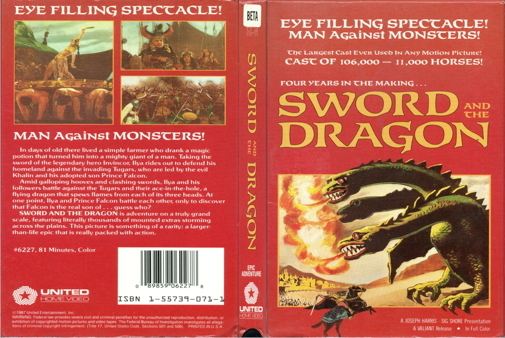 Sword and the Dragon was released in the U.S. in 1960, shorn of several minutes' running time. That’s this version.